Eco-Screen Partitions are designed to meet the most demanding of applications. The basis of that design incorporates PaperStone as the panel material. PaperStone is made from 100% post-consumer recycled paper and proprietary PetroFree™ phenolic resin. Phenolic resins and paper composites have long been known to have superior tensile strength, compression, impact and flexural strengths. They are long lasting, abrasion resistant, absorb virtually no water and in PaperStone’s case also meet stringent Class A Fire Rating requirements. 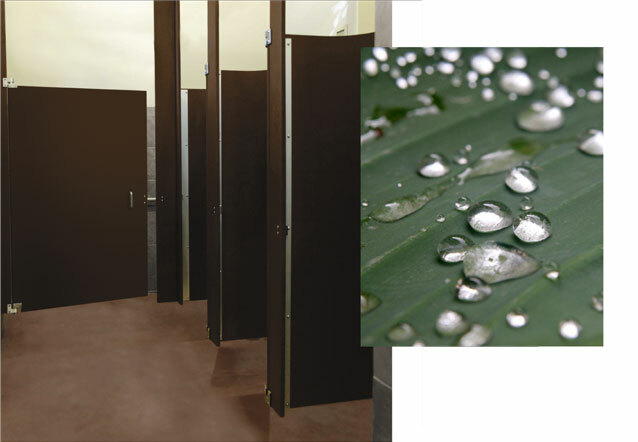 In a restroom where moisture is often assiduous, PaperStone will exceed your expectation. 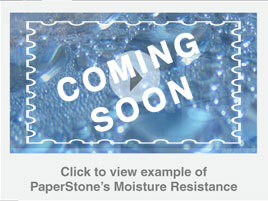 Even immersed in water over extended periods, PaperStone’s water absorption rate by weight will be less that 0.83%. It will not swell, delaminate or stain from exposure to moisture. Choose Eco-Screen partitions for the appearance, but trust them for life-long performance.